Each year around this time and as we get closer to St. Patricks Day we do a lot of custom printed t-shirts and koozies. So we thought why not offer a custom St. Patricks Day custom t-shirt and koozie combo? We do a lot of shirts for groups or families who participate in the local parades and events, and families love having their name and some design or crest. 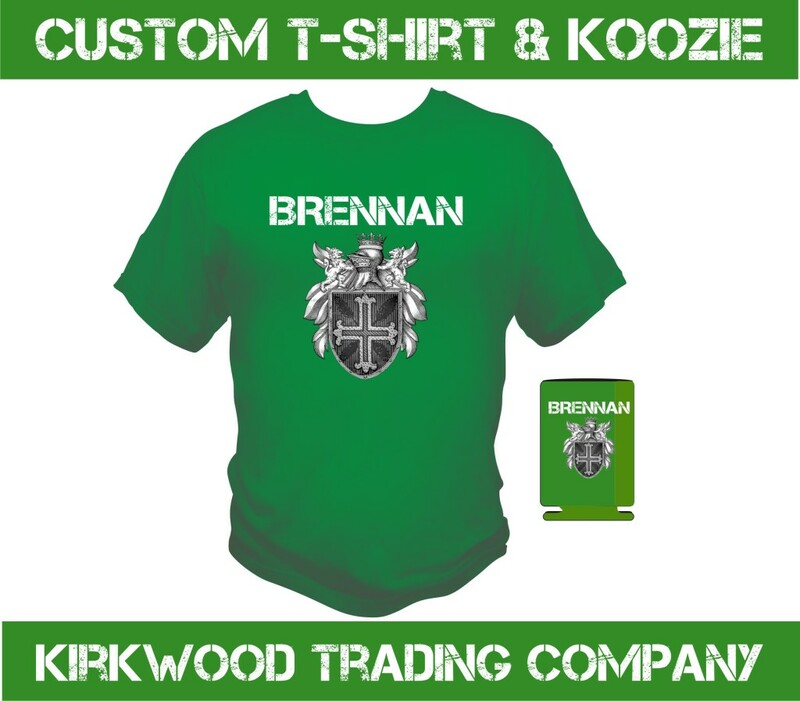 So here is our St. Patricks Day custom t-shirt and koozie offer. A 24 shirt minimum will get you a custom printed t-shirt and koozie for $12. That’s one koozie and one t-shirt for $12 with with a minimum of 24 t-shirts which means 24 t-shirts and 24 koozies. The St. Patricks Day custom t-shirt and koozie combo will be limited to a single color front print on both shirts and koozies. If you need more than 24 then the price would adjust as we don’t know what to expect with this. We have done St. Patricks Day of all kinds of quantities from 12 pieces to 5,000 pieces. The 24 shirt is simply a minimum and the price is based on that. If you have not experienced St. Patricks Day in Saint Louis we would encourage you to check it out. There is the downtown parade on the weekend before St. Patricks Day and on St. Patricks Day there is a great old school grass roots parade in Dogtown St. Louis. The downtown parade is great but the Dogtown parade is something to soak up while you are there with the home made floats, family pride, and fun atmosphere, especially when St. patricks day falls on a week day and everyone is extra excited to be off of work.